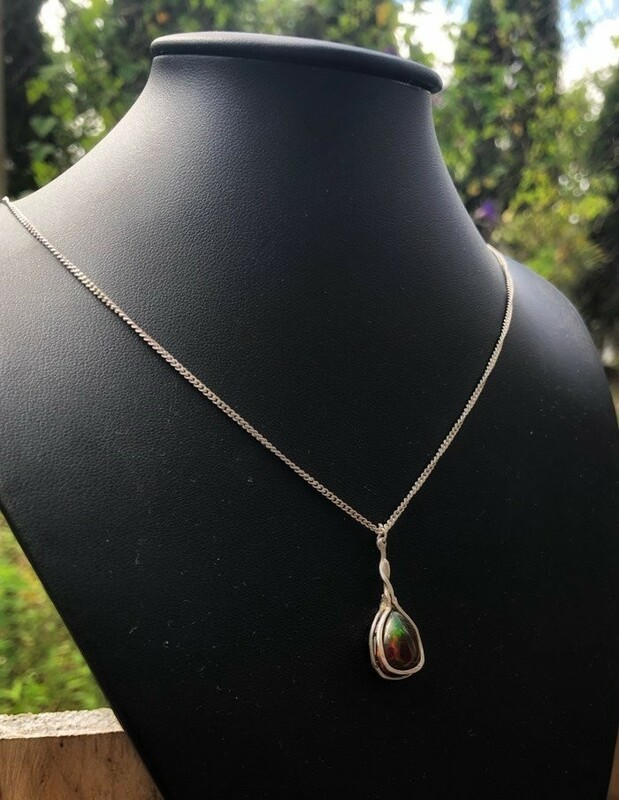 Genuine 2.7 carat natural black opal (Welo Ethiopia) in recycled 925 silver handmade setting and chain. 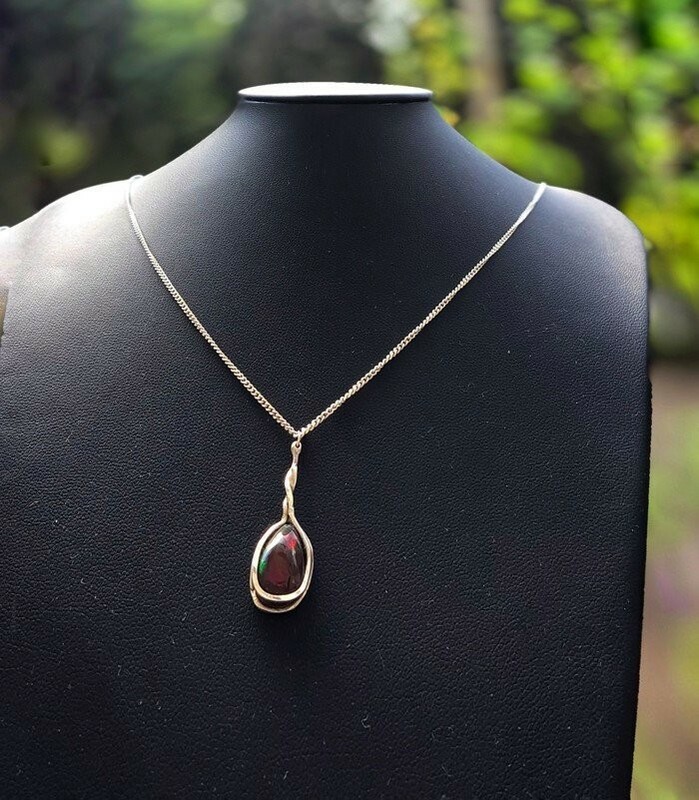 One of a kind piece i fashioned from recycled 925 silver. 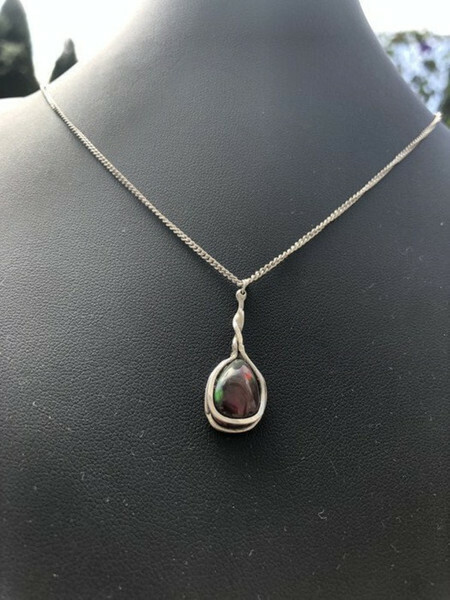 The opal has spectacular colours and looks amazing on. I’ve made a few of these sort and some have already gone to great homes. 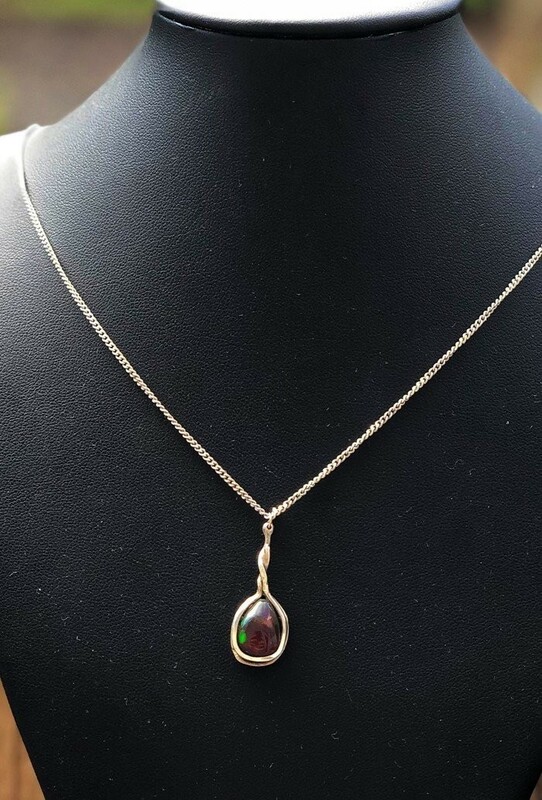 I acquire the opals at auction.